For years, conventional wire products like barbed wire and field fence, have dominated the fencing industry due to limitations in manufacturing and technology. Those factors, combined with the widespread availability of traditional fencing products, have left land owners with the misconception that the best options for livestock containment and predator control are far too expensive. Over time, manufacturers have done a significant amount of research and have been able to transfer the knowledge they have gained from wire production in other industries, like telecommunications, to the agriculture industry. This research has led to advancement in wire strength and galvanization allowing manufacturers to design products with less steel making it more cost-effective. Through product innovation, companies like San Antonio Steel have been able to work with large manufacturers, like Bekaert, to bring a better value to their customers. By extending their product offering to include high tensile wire and most importantly, advanced wire coatings, those companies have helped consumers save a significant amount of money on labor and materials. It is a known fact that fencing is a large investment for today’s land owner. The importance of selecting the right wire, specific to application, should be a top priority. However, the process can be intimidating if there is a lack of familiarity with wire tensile strength, wire coatings and fence knots. San Antonio Steel Company is an industry leader in fixed knot fence distribution with a primary focus on their exclusive product, The 50-Year Fence. 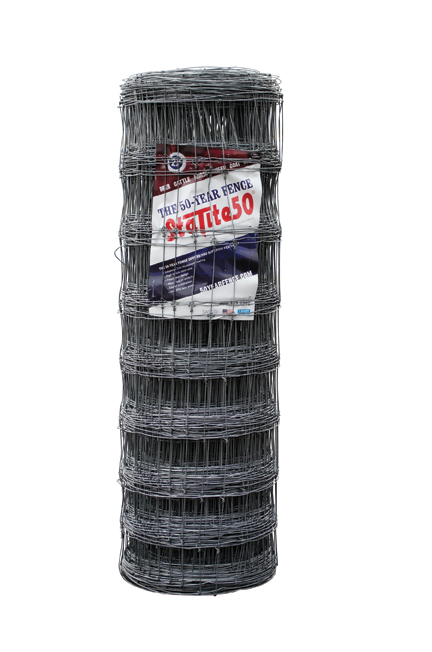 There are a number of high tensile, fixed knot wire products on the market, but The 50-Year Fence is the first and only agricultural wire fence manufactured with a Zinc-Aluminum hybrid coating and backed by a 50-year warranty. 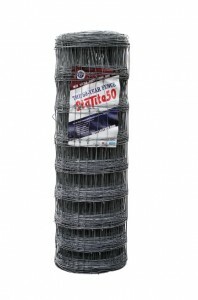 When installed properly, The 50-Year Fence is designed to withstand animal impact in both low and high pressure areas. To further ensure the longevity of your fence, it is recommended to use galvanized t-posts and Class 3 clips versus the familiar painted alternative. Through better technology, applied to everything from feed to fertilizer to fence, overall efficiencies have improved, allowing producers to become more profitable. The 50-Year Fence is just one example of how an initial investment can return long-term results that can positively impact an operation for years to come.